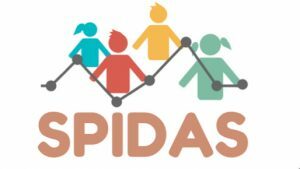 Welcome to the blog for SPIDAS project. SPIDAS stands for Strategic partnership for Innovative in Data Analytics in Schools and in this innovate and extend best practice in the teaching of data analytics through student-centred, problem-based learning, focusing on the impacts of weather and climate change. This blog will update our progress in this project since November 2017. It will be used to update our progress and communicate our project partners in the UK, Spain, and Turkey, but anybody can comment on our ideas in the teaching of data analytics in schools. For ideas of the teaching of data analytics in schools, please go to this category. Our tentative definition of Data analytics in schools is here. Our State of Art review reports can be found from here. For the ideas of the use of technology in data analytics, please go to this category. For useful links, please go to the useful link. This is a project led by Exeter University (UK), Universidad de Lleida (Spain), and Pamukkale Universitesi (Turkey). We also work with the local partners. Our 1st meeting in December 2017. It is funded by the ERASMUS + programme, in the “Strategic partnerships in the fields of School Education” funding sub-programme.